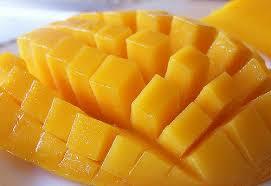 Everybody loves mangoes – they are sweet, juicy and tasty. 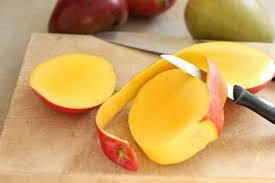 But, besides that, do you know that mangoes offer a number of health benefits? When you buy mangoes, select by their aroma, and not by their color. 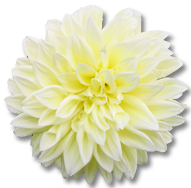 Their aroma should be full fruity, and there should be no dark spots or splits. How that you know how to chose ripe mangoes, let’s take a look at their benefits for the health of your skin. 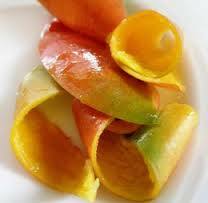 Mango is a great source of antioxidants that keep your #skin #healthy and glowing. Thanks to the ability to reduce dark spots and acne, mangoes help your skin get a #natural glow, and vitamin A and Beta carotene revive your skin vigor, maintain a healthy #complexion and add shine to your skin. The antioxidants also delay skin aging and pigmentation. In order to reduce tanning and improve your complexion, rub your face and hands with the skin of a ripe mango and wash it off with cold water after 10 or 15 minutes, and do this two to three times a week. Raw mango juice can help you get rid of your acne, all you need to do is boil a slice of a baby mango and use this water on your #face. To make a homemade face wash, mix one tea spoon of mango pulp with one teaspoon of powdered almond, then add a tablespoon of milk to make a paste. Apply it on your face and wash it after 20 minutes.